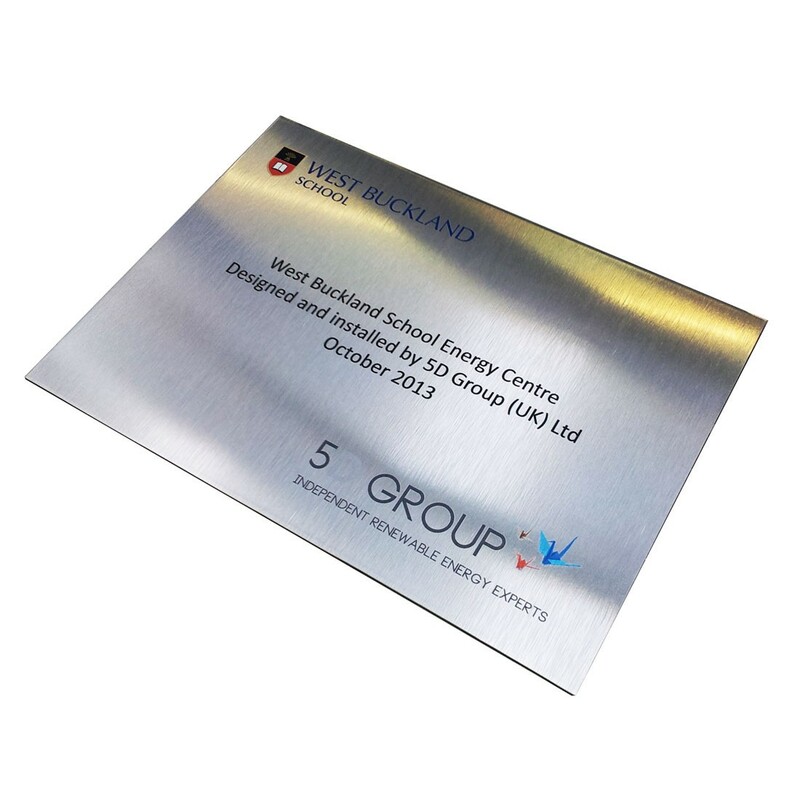 Aluminium composite offers a much more durable and stronger alternative to Correx® and Foamex. Lightweight and rigid, this material consists of a flexible polyethylene core covered with a thin aluminium sheet on each side, and offers a high quality printed finish. Similar to most cut plastic based materials, Aluminium Composite is actually very easy to work with. It can be drilled, riveted, screwed or nailed to almost any surface, and it will not rust like normal metals, or crack due to its high damage resistance. Brushed aluminium offers a unique printed finish unlike standard composite stock, the board can be printed directly or vinyl applied, producing a very individual stylised signage. 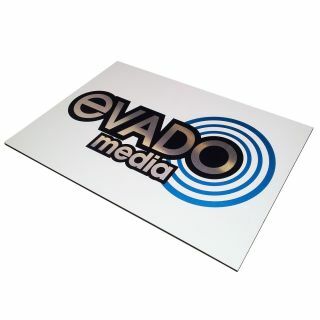 The direct print leaves you with a natural metallic brushed finish due to the nature of the material, whereas a vinyl mounted board would appear like any other high quality printed finish and also allow you to apply a matt/gloss/satin laminate to the artwork. What's the difference between the brushed aluminium and the standard aluminium? The difference is that standard aluminium composite boards are finished with a high quality lacquer which provides a high quality printed finish . Whereas brushed aluminium has a stylised finish. meaning the print will display a unique metallic brushed finish.